New crash fund – a ‘drunk-driving’ bill that runs over rights? Johannesburg – The Road Accident Fund is dead. Long live the Road Accident Benefit Scheme. If the ANC and Transport Department have their way – which is likely – the RABS bill will be replacing the RAF by the 2019 general elections, if not sooner. On Tuesday, there’s likely to be heated debate in Parliament, because the major opposition parties – including the DA, IFP, ACDP and EFF – are united against the RABS, but the ANC appears hell-bent on pushing it through. 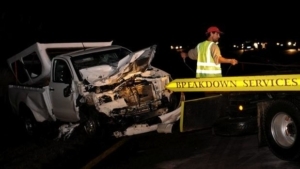 In May, Professor Hennie Klopper, who leads the Association of the Protection of Road Accident Victims, told the parliamentary committee on transport that South Africa’s road death statistics make us seem like a war zone. And yet the DA and lobby groups – including the Quadriplegic Association of SA, private hospital groups and insurance houses – believe the no-fault system gives permission for drunk driving as drivers are not required to prove whose fault an accident is; both the guilty and innocent parties can claim. In particular, it’s raised concern about the constitutionality of the bill because it’s not an improved social security scheme for crash victims; the financials of the RABS are not proven, affordable, sustainable or workable; the proposed dual-system of the RABS and the RAF is not explained or fiscally possible (the two schemes would have to operate simultaneously for at least two decades and require at least a doubling of the fuel levy); and that public health care, on which the bill will be solely reliant, is already over-burdened. https://www.gertnelincattorneys.co.za/wp-content/uploads/2018/12/RAF.jpeg 349 619 Julie https://www.gertnelincattorneys.co.za/wp-content/uploads/2018/04/GNColourLogo.png Julie2018-12-03 10:43:592018-12-03 10:43:59New crash fund - a 'drunk-driving' bill that runs over rights?